Starbucks (NASDAQ:SBUX) Mobile Order & Pay lets customers place and pay for their coffee, food, and snacks without having to wait in line. It's a remarkably simple system which should lower congestion in stores, allow more employee hours to go into production, and generally create a better customer experience. The service, which was tested in parts of the country before being rolled out nationwide is now available on iPhone and Android at all company-owned locations in the United Sates. People should embrace the new technology simply because it's easy to use and it removes the hassle of waiting for someone take your order, then standing around as it is made. technology has a bit of a learning curve, but Starbucks has made Mobile Order & Pay almost pain free. 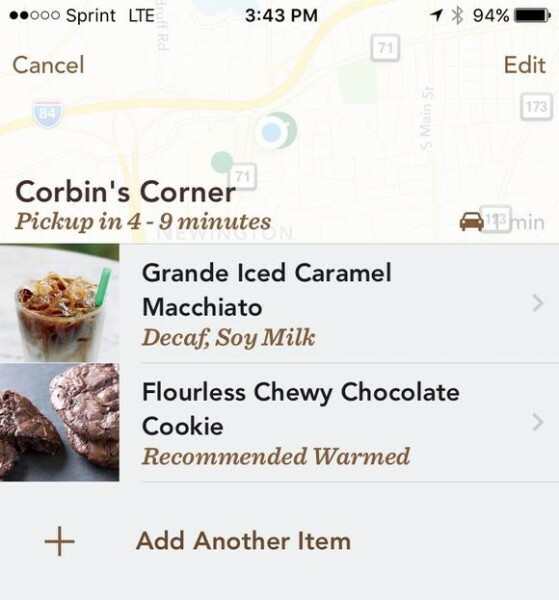 If you already use the company's app, using it to order and pay will be almost entirely intuitive. The first step on the ordering process is to press the "order" tab in the upper-right corner on the app. It's still marked "beta," in tiny letters above. Once you have hit that button you are taken to a screen where it shows nearby stores. If you're not at a store already, you can pick one to drive to. Or, if like I was when I tested the service, you are sitting in the parking lot of a Starbucks, you can pick the store you are already at. Once you select a location you're brought to a menu which reflects what the actual store has in stock. Baristas actually can take items off the list if they sell out during the day so the menu is accurate nearly up-to-the minute.